Popularly known as D.L Hughley, Darryl Lynn Hughley is a multi-talented U.S entertainer who acts and writes, he is also a political commentator, a stand-up comedian and a radio host who is popular for hosting ComicView on BET between 1992 and 1993. He also anchored CNN’s D. L. Hughley Breaks the News between 2008 and 2009 and once served as a correspondent on The Jay Leno Show which aired on NBC. He also starred in the U.S sitcom The Hughleys which aired on ABC from 1998 to 2000 and on UPN network from 2000 to 2002. Hughley equally starred in The Original Kings of Comedy – a 2000 stand-up comedy film alongside Steve Harvey, Bernie Mac and Cedric the Entertainer. D.L. Hughley has also worked as a local radio presenter and interviewer in New York City and in 2013, he took the 9th place on Dancing with the Stars. Learn more about the multi-talented entertainer below. Darryl Lynn Hughley was born in Los Angeles, California, on the 6th of March 1963 to Audrey and Charles Hughley. His father was a maintenance worker at Delta Air Lines. Hughley had a very rough and troubled life as a kid and as a teenager, he joined the Blood – a street gang in L.A formerly known as Original Blood Family (OBF) and was sent out of high school. He later turned his back on the gang after his cousin who was a member of a rival gang was murdered in cold blood. Darryl afterward obtained his GED and began working with The Los Angeles Times as a telemarketer. As mentioned above, D.L Hughley kicked off his career as a telemarketer for The Los Angeles Times, he rose to a management position in the organization. He decided to try his hands on comedy after his wife encouraged him to do so and soon began making waves in all the local clubs around town and in nearby cities. D.L Hughley didn’t know his comedy show was a stepping stone to launching him into something bigger – a TV career until his appearances on Def Comedy Jam led to his being invited to host BET’s show Comic View – a stand-up comedy program which aired on the network from 1998 to 2002. He also wrote, produced and starred on the U.S sitcom The Hughleys which aired on ABC from 1998 to 2000 and on UPN network from 2000 to 2002. He didn’t only gain wide recognition from the sitcom but it also earned him five nominations for the NAACP Image Awards in the Outstanding Actor in a Comedy Series category. During the run of The Hughleys, D.L participated in the Kings of Comedy tour alongside Bernie Mac, Cedric the Entertainer and Steve Harvey. The tour was later included in Spike Lee‘s 2000 film The Original Kings of Comedy. In 2005, he released D.L. Hughley: Notes From The GED Section (a stand-up comedy album). He also hosted Comedy Central’s comedy show called Weekends at the D.L from 2005 to the following year (2006). in that same year, the comedian began starring on a new TV show Studio 60 on the Sunset Strip which was unfortunately canceled after its first season. He also played Turk’s brother on NBC’s Scrubs. In 2008, he hosted BET Awards and equally read a tearful speech at the funeral of his friend and fellow comedian Bernie Mac. He produced his next HBO special that year called Unapologetic. D.L Hughley also began hosting a comedic news-show on CNN titled D.L. Hughley Breaks the News, the show lasted till March 2009 when the network announced its end as a result of Hughley’s desire to move back to L.A to be closer to his family. D.L has also been successful as a radio personality, he began hosting The D.L. Hughley Morning Show which premiered on WRKS in 2009, the show was, however, scrapped after a disagreement ensued between the network and its parents’ company regarding Hughley’s salary. Thus he moved on to try his hands on other businesses but returned to the radio in 2013 with an afternoon drive-time program called The D.L. Hughley Show. The comedian and television personality debuted his stand-up special Clear in 2014 and also appeared regularly on The View and Real Time with Bill Maher. He also landed a recurring role on the new medical drama Heartbeat. 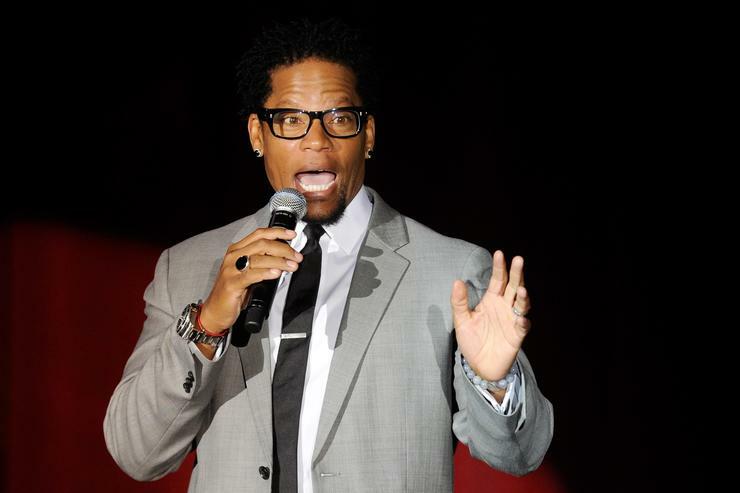 Despite his versatility, Hughley has over the years remained committed to his love for stand-up comedy, which has taken him to numerous club gigs and concerts each year. 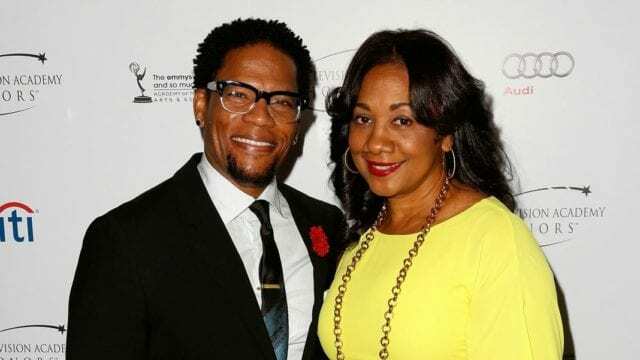 Hughley has been married to LaDonna Hughley since February 1986. The couple met while D.L was working as a telemarketer for the Los Angeles Times. They have three children together; a son named Kyle and two daughters named Ryan and Tyler. His son is suffering from a neurological condition called Asperger syndrome. Despite the many ups and downs they have had to face including infidelity and the difficulty of raising up a child suffering from a developmental disorder, the couple has stuck to each other for over three decades. D.L Hughley revealed in an interview with Angela Yee in 2017 that he had affair early in his marriage which resulted in his mistress getting pregnant after which she had a son who was shaken to death by his mistress’ boyfriend. The actor is neither the tallest in the industry nor the shortest, he stands at a height of 5 ft 6 in (1.7 m). His weight and other body stats have not been confirmed at the moment.